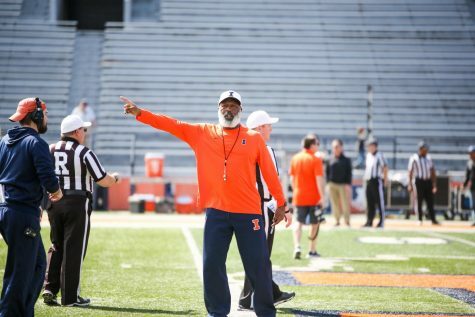 Bobby Roundtree isn’t very comfortable with the media yet. The 6-foot-5, 245 lb. 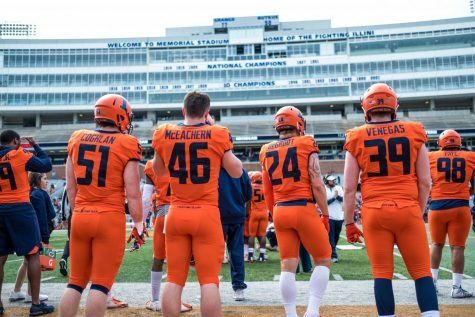 true freshman defensive end is very polite, always calling everyone sir, a little shy and speaks slowly because he is very careful of what he wants to say. For someone with such a physical presence, his demeanor during interviews can be a surprise. Roundtree is much more comfortable letting his plays speak for him. 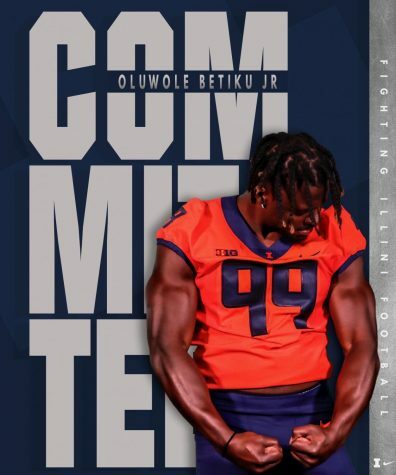 He was named a starter for Illinois’ Week 1 matchup against Ball State, becoming the first true freshman to start at defensive end for the Illini since 1980. He played well in his first college game, even sacking the very mobile quarterback, Riley Neal. During the week following that game, Roundtree was asked what a successful second week would be for him. 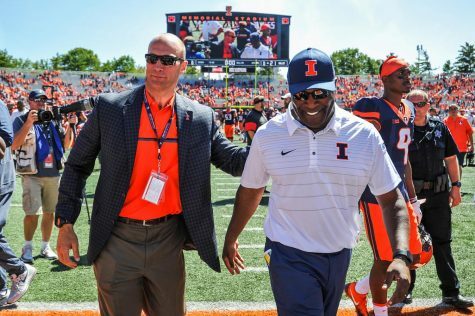 “If I come out and double my sacks, and add in more tackles,” Roundtree said. Some teammates and coaches overheard Roundtree’s response and chuckled with him, all knowing that Roundtree didn’t really know what to say, so he just threw something out there. 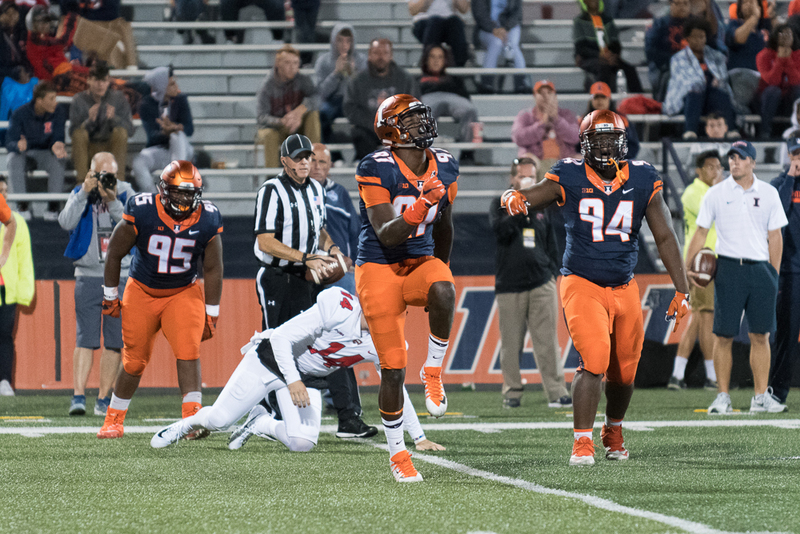 But then Week 2 rolled around, and Roundtree doubled his sacks, picked up three tackles and forced a fumble to boot as the Illini defense shut down Western Kentucky. 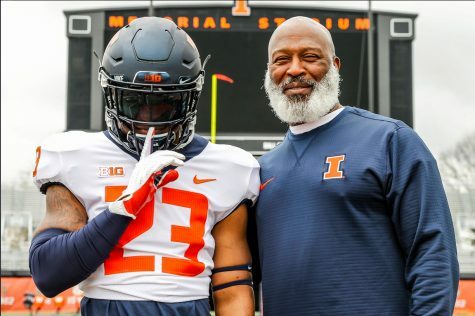 Roundtree is part of a huge freshman class that has impressed so far this season, and even on the defensive line, Roundtree has found himself in a race to see who is the most impressive newcomer: him or Isaiah Gay. Gay also put on a show in Week 2, playing opposite Roundtree on the weak side as a defensive end. Gay was involved in some of the biggest plays of the game, just like Roundtree, and he said that the comparison between the two is nothing new. Roundtree took the internal competition one step further. 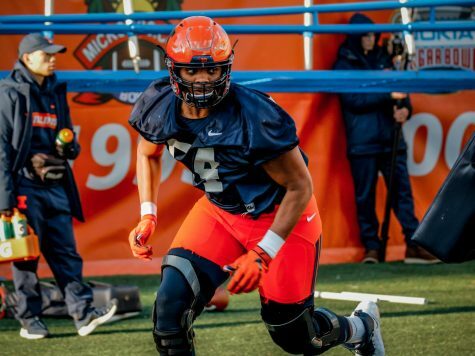 Gay and Roundtree have started the season in impressive form, and with his starting position confirmed against Western Kentucky, Gay became the second true freshman to start at defensive end since 1980. 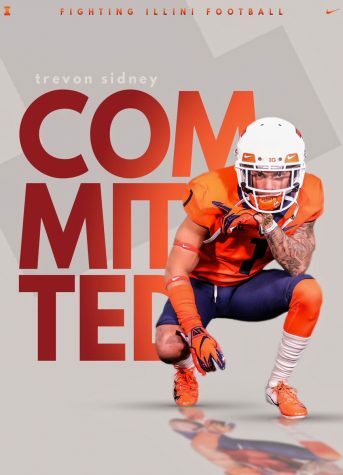 The significance of what he and Roundtree are doing is not lost on Gay, and he said that it is indicative of the mindset he and his teammate had coming to campus. 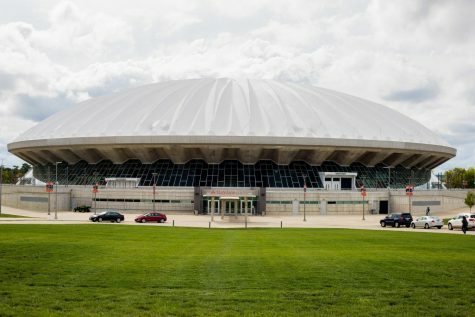 As Week 3 of their first season rolls around, a new challenge lies ahead for Gay and Roundtree in their first away game, scheduled for this Friday against South Florida in Tampa. But Roundtree’s mind has already been in Tampa for a good week at least as it’s the place he calls home. Roundtree hails from Largo, Florida, a city of 80,000 situated across the bay from Tampa on the Gulf Coast, and with Hurricane Irma barreling down on the entire state this week, Roundtree has been understandably concerned. 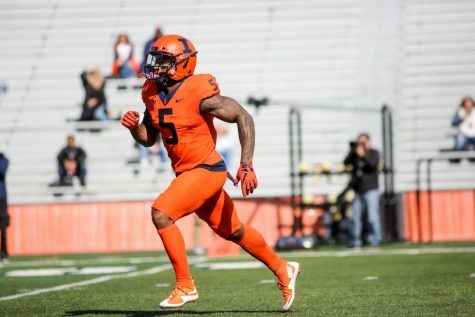 Roundtree is one of 14 players on the Illini roster from Florida, and much of the coaching staff has connections in the area as well. While the Tampa Bay area hasn’t been as affected by the storm as the Miami area that many of his teammates are from, it hasn’t stopped him from worrying about the well-being of his family. Even though Roundtree has had more pressing things to worry about than football, his on-the-field performance hasn’t suffered. In fact, the freshman has begun to thrive to the surprise of some who didn’t see him coming. 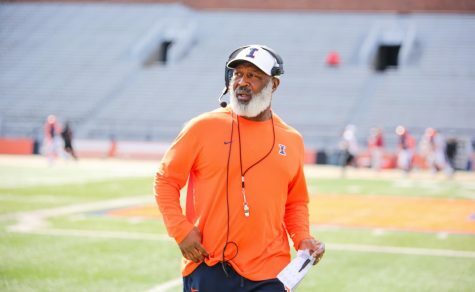 But to Illinois defensive coordinator Hardy Nickerson, nothing Roundtree is doing is a surprise. If he keeps making those plays at the rate he has so far, Roundtree is bound to find his voice sooner or later. He’ll certainly be spending a lot of time talking to the press.